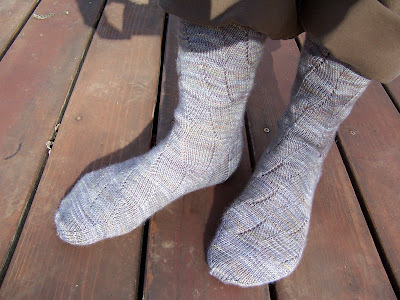 You're socks came out really nice, but oh how I love that gorgeous yarn you're knitting with now! I've had a fingerless mitten knitting fetish this winter. 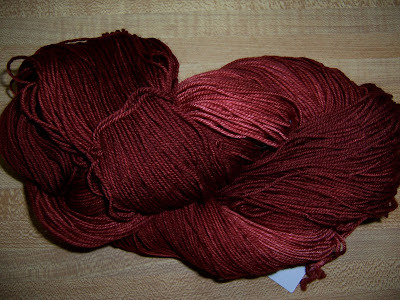 Just starting on my fourth pair if I could get the darn skein of yarn wound. It's the biggest, most tangled mess I've ever experienced in a new skein of yarn. I love your swings! I think you've infected me with the bug....I'm going to start a pair of Dream Socks for myself now! The birthday gift is going to be gorgeous!